The Norfolk Broads are a four-piece female ensemble who enjoy singing low-pitched folk songs about love, despair and dastardly boyfriends. They bonded over maritime work songs and failed romances in the alto section of the Trad Academy Sea Shanty Choir, deciding to form a girl-group during a long car ride to Cornwall in 2014. 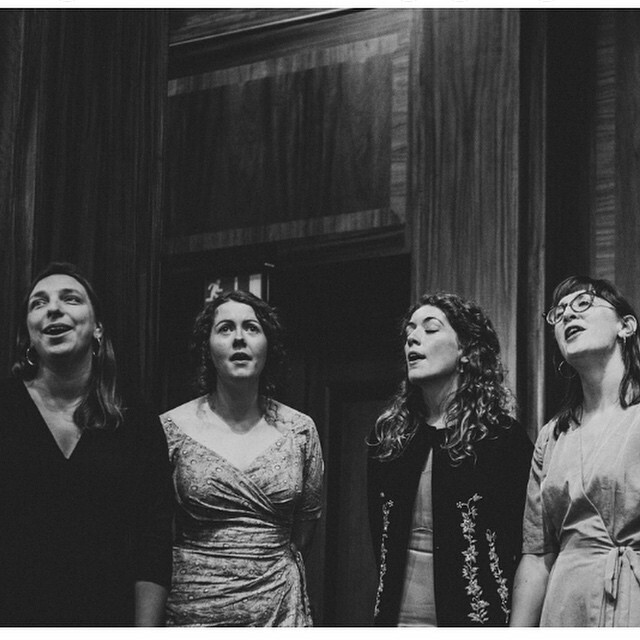 Since then, they have performed their spirited harmonies at festivals and venues in London and further afield, including the V&A Museum of Childhood, the Museum of London Docklands, on board the Cutty Sark, Wilton’s Music Hall, the London Review Bookshop, Folk East festival 2016 and the Minack Theatre.